Asia’s largest online baby and kids’ store, Firstcry is committed to giving the best products, cheapest prices and quickest, easiest services to all parents and theirs kids. Here, you will get all you need for a mother and child from diapers, clothes, shoes, toys to school supplies, baby gear and even feeding and maternity accessories. Also, with Zingoy, get the best Firstcry deals, share them and earn fat cashbacks on all your maternity and baby shopping. Key conditions for Cashback eligibility: Cashback is not payable on the use of coupon code: FCBGEAR2000. > Cashback will NOT be provided at order value below Rs. 100. Tracking Details: Firstcry supports tracking only on desktop site. Mobile site and App purchases are not eligible for cashback due to tracking constraints. Cashback is not applicable to bulk orders. Limited period offer. User will get flat 35% off on entire Dove range. Maximum discount is Rs. 1000. Benefits arising post implementation of GST are part of this coupon. Coupon code is not valid on Combos and Guaranteed Savings Offer. Coupon code is not applicable with any other coupon. Coupon code is applicable on the MRP of products. kApplicable taxes extra on discounted price. Limited period offer. User will get flat 40% off entire Huggies range. Benefits arising post implementation of GST are part of this coupon. Maximum discount is Rs. 1000. Coupon code is valid on Diapers except on Combos, Guaranteed Savings Offers, Super Savers & Gift Packs. Coupon is not applicable with any other coupon. Coupon code is applicable only on the MRP of products. GST extra on discounted price. Limited period offer. User will get flat 35% off & 25% cashback on Entire MamyPoko Range. Benefits arising post implementation of GST are part of this coupon. Maximum discount is Rs. 800. Maximum cashback is Rs. 250 generated on final cart value after coupon code is applied. Cashback not redeemable on Diapers, Combos, Bottles & Accessories, Formula & supplements and brands Charlie Banana, Figaro, Foscam, Melissa & Doug, Motorola, Tupperware, Wanna Party, Bio Oil, BeCool, Alex Daisy, Jane, PediaSure, Horlicks, Protinex, Nestle, Xbox, Sony PlayStation. Cashback coupon will be sent on email post the successful delivery of your order and will be valid for 15 days. GST extra on discounted price. Limited period offer. User will get flat 50% off on Fashion Range by Carter's, Zero, Toffyhouse, Cute Walk by Babyhug, Babyhug, Mark & Mia, CUCUMBER, Babyoye, Awabox & Kookie Kids. Max Discount is Rs. 3000. Benefits arising post implementation of GST are part of this coupon. Coupon code is not applicable with any other coupon. Coupon code is applicable only on the MRP of products. GST extra on discounted price. Coupon code is valid only for today [11th Apr'19]. User will get flat Rs. 800 off on minimum purchases worth Rs. 1999. Benefits arising post implementation of GST are part of this coupon. Coupon code is applicable on MRP of Products. Coupon can be used only once and is not applicable with any other coupon. Coupon code is not valid on Combos, Bottles & Accessories and Formula & Supplements and brands Charlie Banana, Foscam, Melissa & Doug, Motorola, Tupperware, Wanna Party, Bio Oil, BeCool, Alex Daisy, Jane, Cetaphil. GST extra on discounted price. Limited period offer. User will get flat 35% off & 25% cashback on entire Pampers range. Maximum discount is Rs. 500. Maximum cashback is Rs. 250 generated on final cart value after coupon code is applied. Cashback not redeemable on Diapers, Combos, Bottles & Accessories, Formula & supplements and brands Charlie Banana, Foscam, Melissa & Doug, Motorola, Tupperware, Wanna Party, Bio Oil, BeCool, Alex Daisy, Jane, PediaSure, Horlicks, Protinex, Nestle. Cashback coupon will be sent on email post the successful delivery of your order and will be valid for 15 days. GST extra on discounted price. Limited period offer. User will get flat 50% off on Select Fashion Range. Max Discount is Rs. 5000. Benefits arising post implementation of GST are part of this coupon. Coupon code is valid on Select Fashion Range Brands except brands Nestle, Protinex, PediaSure, Figaro, Wudplay, Motorola, Melissa & Doug, Cetaphil, Horlicks, Xbox, BonOrganik, Charlie Banana, Foscam, Tupperware, Wanna Party, Alex, Daisy, Bio Oil, Jane, BeCool, SkyJumper, Patanjali, Vaya, Cetaphil, Emotix, Sony Playstation, Eureka Forbes, Vaux. Coupon is not applicable with any other coupon. Coupon code is applicable only on the MRP of products. GST extra on discounted price. Limited period offer. User will get Flat 600 OFF on Fashion worth Rs. 1199 & above. Benefits arising post implementation of GST are part of this coupon. Coupon code is valid on Apparel, Footwear & Fashion Accessories except brandsNestle, Protinex, PediaSure, Figaro, Wudplay, Motorola, Melissa & Doug, Cetaphil, Horlicks, Xbox, BonOrganik, Charlie Banana, Foscam, Tupperware, Wanna Party, Alex, Daisy, Bio Oil, Jane, BeCool, SkyJumper, Patanjali, Vaya, Cetaphil, Emotix, Sony Playstation, Eureka Forbes, Vaux. Coupon code is not applicable with any other coupon. Coupon code is applicable only on the MRP of products. GST extra on discounted price. Coupon Code is valid only for limited time. User will get Flat 40% OFF on Handpicked Range of Summer Fashion. Coupon code is valid on select range of Summer Fashion. Coupon is not applicable with any other coupon. Coupon code is applicable on the MRP of the products. GST extra on discounted price. Offer is valid till 15th Apr'19. User will get flat 40% off on Entire Fashion Range. Max. Discount Rs. 5000. Benefits arising post implementation of GST are part of this coupon. Coupon code is valid on Apparel, Footwear & Fashion Accessories except brands Charlie Banana, Foscam, Melissa & Doug, Motorola, Tupperware, Wanna Party, Bio Oil, BeCool, Alex Daisy, Jane, PediaSure, Horlicks, Protinex, Cetaphil, Nestle. Coupon is not applicable with any other coupon. Coupon code is applicable only on the MRP of products. GST extra on discounted price. Coupon code is valid only for today [14th Apr'19]. User will get Flat 500 OFF* on Fashion worth Rs. 1100 & above. Benefits arising post implementation of GST are part of this coupon. Coupon code is valid on Apparel, Footwear & Fashion Accessories except brands Charlie Banana, Xbox, Sony PlayStation, Figaro, Foscam, Melissa & Doug, Motorola, Tupperware, Wanna Party, Bio Oil, BeCool, Alex Daisy, Jane,PediaSure, Horlicks, Protinex, Nestle. Coupon code is not applicable with any other coupon. Coupon code is applicable only on the MRP of products. GST extra on discounted price. Limited period offer. User will get flat 40% off on Entire Carter's range. Benefits arising post implementation of GST are part of this coupon. Coupon code is not applicable with any other coupon. Coupon code is applicable on the MRP of products. GST extra on discounted price. Offer is valid till 11th April'19. User will get flat 40% off on Entire Fashion Range. Max. Discount Rs. 5000. Coupon code is valid on Apparel, Footwear & Fashion Accessories except brands Charlie Banana, Foscam, Melissa & Doug, Motorola, Tupperware, Wanna Party, Bio Oil, BeCool, Alex Daisy, Jane, PediaSure, Horlicks, Protinex, Cetaphil, Nestle. Coupon code can be used only once & is not applicable with any other coupon. Coupon code is applicable only on the MRP of products. GST extra on discounted price. Add some style to his new season casuals with this frock from Zero. Crafted from soft fabric, the sleeveless frock features dot print and ribbon bow which makes it attractive and stylish. Round neck adds elegance of style to it. Kids will be comfortable all day long. 100% Original & Authentic Products. The coupon code is valid on Birthday & Gifts Category. Minimum purchase value Rs.750 & Above. Coupon can be used only once and is not applicable with any other coupon. As a leading online shopping store for kids, FirstCry not only stocks everything you need for your kids but also ensures that you get them at the most competitive rates. If you feel that you’ve been spending a lot on baby care products, footwear, toys, car seats, diapers and other, it’s time you cut down your expenditure by buying them on FirstCry. How to get FirstCry Cashback Offers using Coupons & Promo Code from Zingoy? Zingoy gives you an opportunity to avail attractive FirstCry cashback offers each time you buy baby care products through it. If you always purchase via this page, you are assured of getting value for your money because you’ll get the all the amazing offers and coupons as well as enjoy cashback. If you’ve used FirstCry Coupons and other offers, you definitely know that they come in many types and also depend on the products you buy. Every time you want any baby care products know that the best platform to shop on is via this Zingoy page. It gives you an easy way of grabbing all the offers and coupons by bringing them to you in one place. Most importantly, it gives you an opportunity to earn cashback over and above the FirstCry offers posted daily. Each time you browse this page, you will not miss coming across hot deals. If you love getting promo codes, then catch the latest FirstCry promo codes here. They are all valid and come bundled with the amazing cashback offers given by Zingoy. 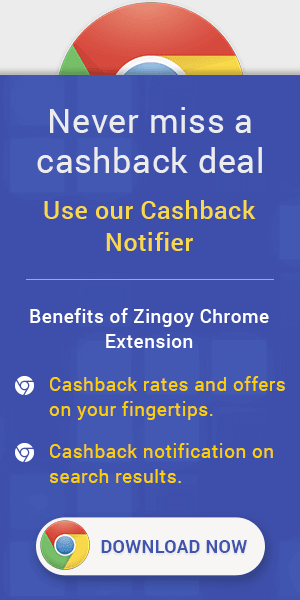 The surest way to avail cashback without missing is by adding the Zingoy Chrome extension to your browser so that each time you are browsing FirstCry the extension blinks reminding you that you need to claim your cashback. How to Apply FirstCry Coupons & Promo Code while Checkout on Zingoy? At Zingoy you can check for the wide range of offers available on the store page. Find all the latest available FirstCry promo code on Zingoy and get discounts on kids clothing. Steps on how to apply the given coupons.